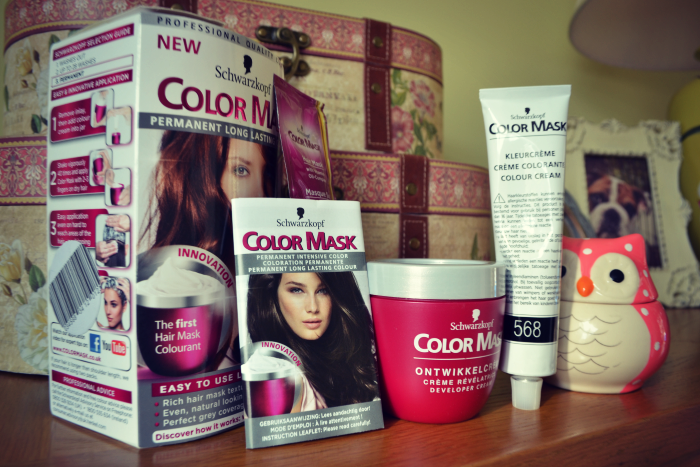 I may not be a makeup and beauty expert, but there is one thing I have quite alot of experience with ... hair dye. Since as long as I can remember I've dyed my hair, it's never been particularly dramatic, well most of the time (I have been known to bleach parts of my hair, attempt to dye it blue and instead end up with two aqua green strips framing my face); but none the less, every few weeks I faithfully grab another hair dye off the shelf, pour the contents on my head, cross my fingers and hope for the best. I don't know if I am the only one, but for me, the colour on the box is never the colour I see when I look in the mirror, no matter how hard I squint. So with this in mind I will review this product as fairly as I can. So having stepped out of the hairdressers minus an inch and with a new fringe in check I headed off to find me some hair dye. Whilst browsing the shelves of Savers (great pleace to get you hair and beauty products at much cheaper prices), I saw this lovely rounded little box looking back at me. 'Ooooh thats new, I'll try that', was the thought process, hell, I'm obviously easily led, you stick new on the box and I just have to try it. 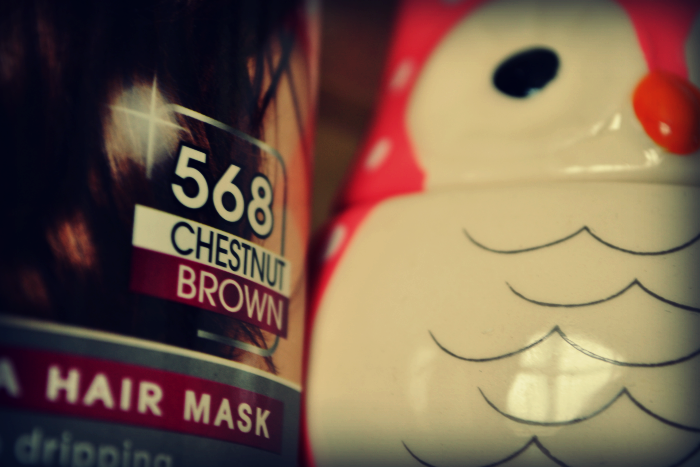 This new product was Schwarzkopf Colour Mask - 568 Chestnut Brown to be precise. The colour was just what I was looking for and it was a new way in which to apply hair dye, who could resist, not me apparently. Anywho I took it home and began to dye my hair. Now it's pretty easy to use, mix the colour cream to the development cream in a little tub and give it a shake, and bingo, your good to go. 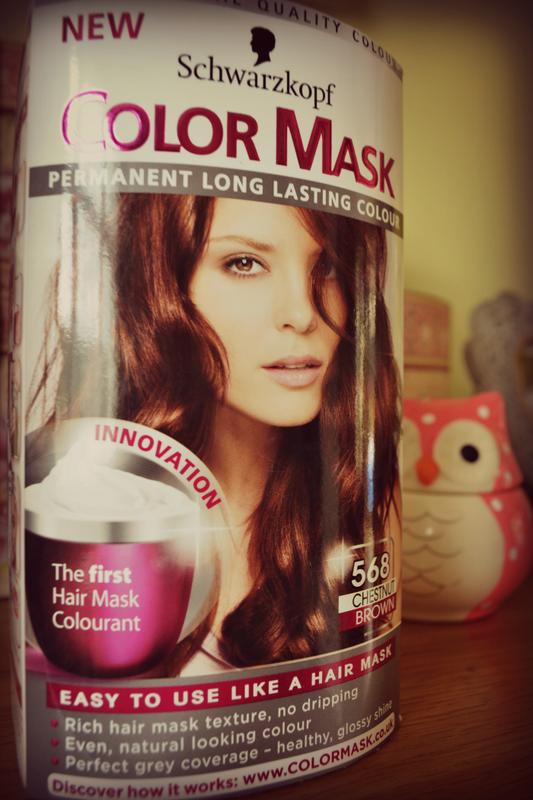 The mask looks like a grey paste, and is slightly off putting as it doesn't follow that standard hair dye cream look. You apply this product much like you would a hair mask, however, it's quite thick in texture and so is quite hard to work through your hair. Whilst applying this product I had already decided I didn't like it, and after having to break into the second box in order to finish the job I was getting pretty annoyed. Yes, my hair is now longer than it's been for a long time, but it's not overly thick and I never think it warrents two dyes, by hey ho, I can let this go. The plus point during application is that it's very much non-messy. I'm very good at managing to get hair dye on my newly decorated bathroom, much to the annoyance of my boyfriend, so it's quite nice to use a product that leaves a clean, dye free bathroom. After waiting the 30 minutes I washed the product out. Now, this is another plus point as there didn't seem to be loads of colour running out as per usual when you wash you hair at this point, and even after a few washes it doesn't seem to wash out as is the case with all other dyes I've tried. However, when I had actually blow dryed my hair it's safe to say the colour was far from the one on the box, no amount of squinting could fix this bad boy, my hair is very nearly close to black. I'm massively disappointed and annoyed to be fair, black hair does not suit me AT ALL, I look ill, I am not a fan. This colour is a as far from the packet as any other I have used before. So on that note, I would like to say I will not be using this product again, but would like to know if you have had experience with this hair dye? Also, does anybody know how to get my hair back lighter without using any too extreme methods? Well even though you didn't like it as a product the outcome is good. Your hair looks lovely in the last picture! On a side note, I've never dyed my hair cause I'm scared I won't get it back to its colour but I'd love to go a lovely warm auburny brown. The colour in the last pic does look good, but if you're not happy with it, then that's what really matters. I haven't dyed my hair in so long, and this, despite not being right, has tempted me. 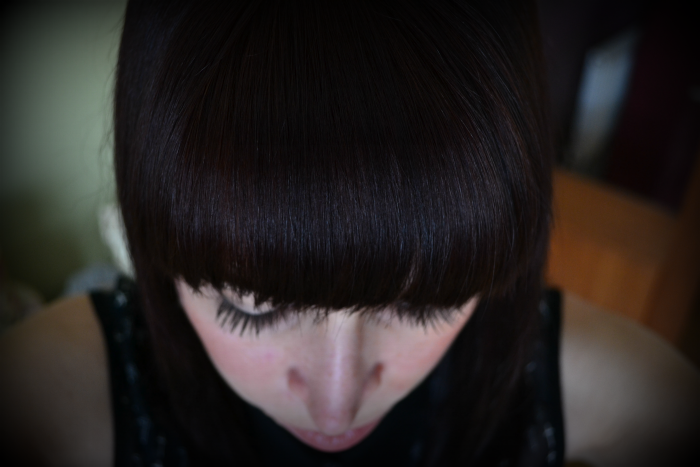 Like Halles above, I'm scared to dye my hair, so I can't help with any suggestions I'm afraid. Great honest review though! Oh it's a shame this hair mask didn't work out. I've never dyed my hair though so I don't really have anything to add. However I do like the color your hair turned out to be. I know you're not happy about it though and that's what really matters. I appreciate your honest review! Uh this is the reason why I let my hair be dyed only at the salong .. I never trust the packaged colors! So sorry that it went like that for you, it must be a struggle to get the color back! Thanks for stopping by at my page and your lovely comment! 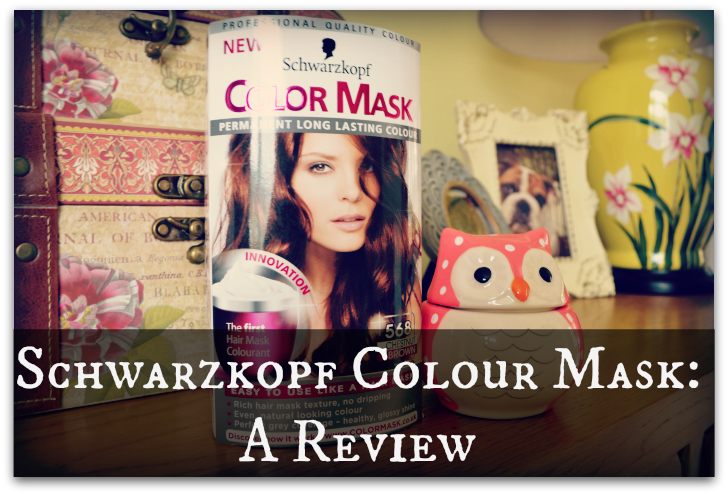 Great review I think the colour does look great but such a shame it went so much darker than it says on the pack. It looks nice, and the colour is really intense!! Thank you so much, I will pick up a bottle when I'm next out! Thank you!!!! what a cool mask! xO! Thanks for visiting my blog hun. That hair colour is gorgeous! I really feel like doing something new to my hair. Lovely colour! so much cheaper than going to the hairdressers!